Contemporary Square Design made of clear thick glass. Easy to clean and easy to maintain. Simply wipe off nonporous surface after each use. 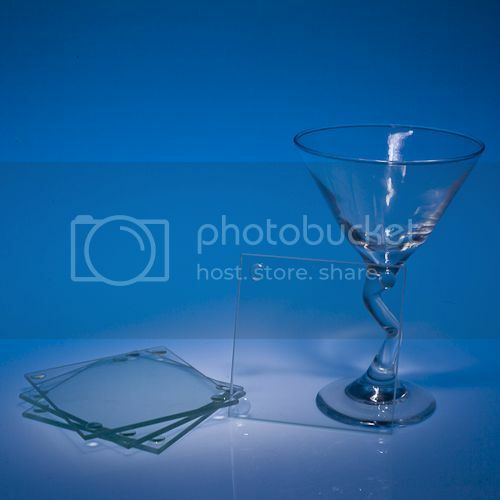 Quality glass coasters are 1/8" thick glass and have anti-skid feet. Coasters can be easily personalized by etching or with a marker. Eastland Coasters will protect and complement your table arrangement, while serving as a candle holder or glass holder. These Coasters make great inexpensive wedding favors or economical gifts.